Every now and then, there comes a movie which is different from the norm and makes you really think about what is going on in it. This is especially true with quite a few tie-in movies, or adaptations of novels and what not. In a detached sort of way, these movies aren’t just about making money and delivering a good story, etc, but they are about so much more. They can be philosophical in their message, or extremely psychological, as was the case with The Dark Knight. For my money, The Hunger Games is one such film. My decision to watch The Hunger Games was based purely on the recommendations of a few friends on twitter. Everybody was talking quite highly of the movie, as well as the novels which I haven’t read I should point out, so I was fairly intrigued. Plus it has Jennifer Lawrence starring, and I liked her quite a bit in X-men: First Class last year. So off it was to the movies! It’d be accurate to say that I was pleasantly surprised with the movie. It has mostly everything I want in a movie: good characterisation, good script, good dialogue, good pacing, good acting and so on. Jennifer Lawrence’s acting was, by far, the stand-out moment of the film, as was the character of Katniss Everdeen. They were both perfect for each other and it shows. Jennifer’s performance made me really connect with her character at all times, whether it was volunteering herself for the Hunger Games in place of her sister, whether she is training for them, or when she is out in the playing fields or whenever. It was all natural and never forced. Her expressions, her mannerisms, everything was spot on for her character. It also helps that the costume and makeup departments did a great job with her look at various times over the course of the movie. 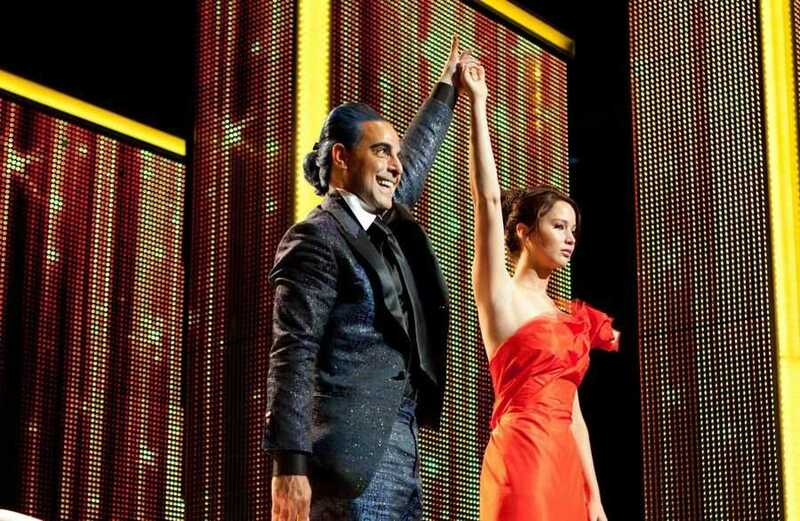 The scenes I really liked: Peeta and her entrance as part of the parade and her first interview with Caesar Flickerman. Some really great visuals there. Katniss is also a strong character throughout and Jennifer’s acting puts that across quite as well, again, through her expressions and her mannerisms and her body language. So great job there. Josh Hutcherson as Peeta Mellark was a bit more of a mixed bag but he still turned out a good enough performance. He brought a very “serious” vitality to his character and that was enjoyable to watch. Like with Jennifer/Katniss, he fit the role, and played it well. The only issue I have with the character is that he appears right out of the blue, by which I mean to say that when is feelings for Katniss are mentioned, and the flashbacks related to it, it is all a little too sudden. And that goes back to my belief, which is corroborated by people who have read the novels, that there is a good amount of characterisation missing from the movie. It actually is quite apparent when you are watching the movie. It is a lamentable fact since the novel obviously had to be trimmed down in its script format, but it would be nice to see if there’s a director’s cut or extended edition somewhere that has those “missing” scenes. Additionally, it was a nice thing to see that Suzanne Collins, the author of the novel, was one of the scriptwriters. It probably accounts for how tight the script is otherwise, when you look at it in its totality. The creator had input in the final product and that’s a good thing. In terms of the other characters, I have to say that I like Elizabeth Banks’ Effie Trinket, Woody Harrelson’s Haymitch Abernathy, Lenny Kravitz’s Cinna, Stanley Tucci’s Caesar and Donald Sutherland’s President Snow. Great acting by all these five actors, especially the first two. When I first saw Effie, I quite cringed at her looks and was surprised to see that it was Elizabeth Banks playing the character, but it didn’t take me too long to warm up to her, especially since she turned out to nowhere near as evil as I thought she was going to be. Talk about expectations! Woody’s Haymitch I was prepared to see go nowhere and remain the drunkard that he is, but he was another character I really warmed up to, although his character development scenes seemed to be missing in spades. His turnaround was altogether too quick and relatively unexplored, but the acting and portrayal were both good nevertheless. Lenny’s Cinna was a surprise character, given how many scenes he ends up having, but it was a decent performance. Once again, he doesn’t really get much screen time and his character is very much explored in the grand scheme of things but it was fine. I wasn’t actually expecting him to be as important as he turned out to be. Stanley’s Caesar was very much like Elizabeth’s Effie, but the character did have a certain appeal, not to mention that Stanley Tucci is a great actor, no matter what role he plays. His Caesar was enjoyably boisterous, flamboyant, aristocratic and funny. Donald Sutherland’s President Snow was fairly chilling in contrast, and the way the movie ends, I expect him to turn out to be quite the villain. Other than that, there were a few more likable characters like Amandle Stenberg’s Rue and Liam Hemsworth’s Gale Hawthorne, and a few characters I really didn’t like, such as Wes Bentley’s Seneca Cane. So overall, there was a good mix of characters in the movie, certainly an appreciable mix because otherwise it would have been far too bland. The pacing of the movie was also spot-on. Combined with what I regard as a fairly well-put together, tight script, the pacing worked for me. There were absolutely no parts of the movie that I thought were either too slow or too filler or that they dragged down the enjoyment factor. I’d certainly watch the movie again! 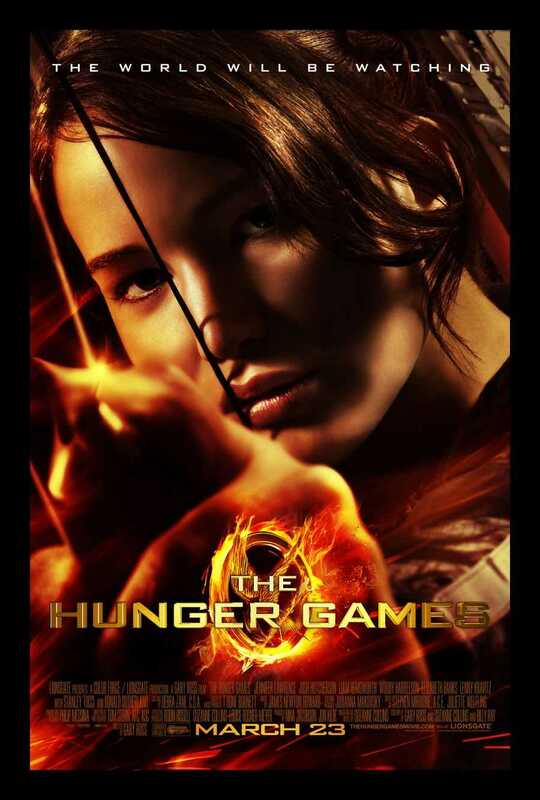 When the Hunger Games actually started, the movie ramped into high gear and it never looked back. It continued to build and build into what was a thoroughly enjoyable climax, back where things had started. The twists and turns of character interaction really made this into a memorable movie, not to mention that I particularly dislike Seneca for those damned wolf-dogs. The world-building was also quite appropriate to both the tone and feel of the movie. The world was immersive, detailed, flawed in its portrayal, intriguing and also very spot on. Exploring several themes, such as self-sacrifice, the rich-poor divide, the illusion of control and what not really adds to the experience and it unfolds Panem very nicely. The visuals, such as when Katniss and Peeta first arrive at the city, all the different dresses and the makeup the people wear and all, it was all very atmospheric. You feel drawn in. The visuals definitely helped me connect more with the characters. Both the movie’s soundtrack (heard mostly during the credits) and the score itself were good. Again, they were immersive and thoughtful and they draw you in to the whole movie experience. That the tracks have received great acclaim is of course very much how it should be. Overall, I think The Hunger Games delivers on an excellent movie experience, whether you are a teenager, in your twenties/thirties or even older. It is a complete package for everyone because it is genre-inclusive: action, science-fiction, romance etc. The characters are all portrayed well, the actors are good and everything else is just right. Without boring you with the same thing again, and again, all I’ll say in closing is that you should really watch this film because it’s not just another movie adaptation and its not just a young adult film either. It transcends it’s limits. Posted on February 17, 2014, in Movie Reviews, Review Central and tagged Action, Action-Adventure, Adventure, Donald Sutherland, Drama, Dystopia, Elizabeth Banks, Female-Led Movies, Film, Film Review, Gary Ross, Hunger Games, Jennifer Lawrence, Josh Hutcherson, Katniss Everdeen, Lenny Kravitz, Liam Hemsworth, Lionsgate, Movie, Movie Adaptation, Movie Review, Panem, Peeta Mellark, Post-Apocalyptic, Review, Review Central, Stanley Tucci, Suzanne Collins, The Hunger Games, Woody Harrelson, Young Adult. Bookmark the permalink. 2 Comments.